Chicago Brain Injury Attorney Phil Berenz is here to FIGHT for you! Traumatic brain injury (TBI) occurs as the result of a strong external force such as a blow to the head. When the external force causes trauma—a shock or wound caused by a sudden violent injury—it can result in serious and life-threatening complications. 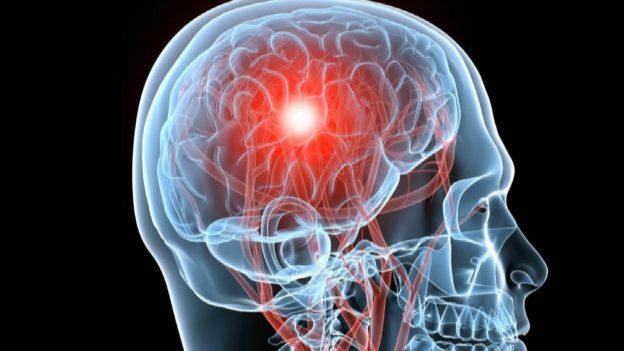 The severity of the brain injury will depend of several factors such as whether or not the injury penetrated the head and the location of the actual injury. Traumatic brain injury has a high ratio of disability and, in some cases, death. Direct impact upon the brain can cause initial damage followed by secondary complications that can contribute to furthering the injury and cause permanent damage. Traumatic brain damage can result in permanent disability, changes in behavior, emotional effects, physical effects, social difficulties, cognitive problems. Fortunately, modern technology has improved the outcome for many individuals with TBI. With medical breakthroughs, it is now possible to improve the TBI complications markedly with medication, physical therapy, speech therapy and in some cases surgery. It is extremely important to speak with Chicago brain injury lawyer Phil Berenz immediately if you or a loved one has sustained a brain injury. Obtaining the highest quality medical care during this difficult time is the most important thing that you can do. The right medical procedures may be able to spare you a lifetime of disability. Phil has been dedicated to helping seriously injured individuals for the past 16 years. If you have suffered a brain injury due to another’s negligence, our law firm can help. We have recovered full and fair compensation for numerous clients that had recently sustained a catastrophic injury. We have years of experience trying cases. We offer a free consultation so that you can begin the process of pursuing compensation with the support of a Chicago brain injury attorney that has the qualifications to help you. Call Chicago Brain Injury Attorney Phil Berenz today at 312-375-6524 for a free case evaluation.